Book your New Zealand rental car holiday with Car Renter. We have taken all the hard work out of booking that amazing New Zealand rental car adventure. We have a large selection of New Zealand rental cars including, Apollo, Backpacker, Jucy, Omega Rentals, and many more New Zealand rental cars. Car Renter takes out all the guess work with booking a self drive holiday. We have something to suit everyone, ranging from budget compacts through to larger 4 wheeled drives and people movers. Users can search, compare and book from a huge number of vehicles all on the one site., so there is definitely a rental car to suit you and your budget. 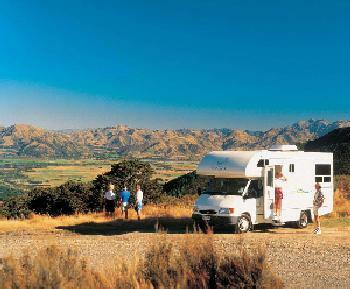 Book your New Zealand Campervan and Motorhome holiday with Find A Camper. We have taken all the hard work out of booking that amazing New Zealand campervan and motorhome adventure. Our team, who are located in New Zealand and Germany have extensive knowledge of the New Zealand campervan and motorhome rental market. We have selected New Zealand campervans and motorhomes from a variety of rental companies, including Apollo, Backpacker , Jucy, KEA Campers, Maui and many more. These range in size, comfort, and of course price, so there is definitely a campervan or motorhome to suit you and your budget. If you are planning to take you rental car, campervan or motorhome between the North and South Islands on an InterIslander or Bluebridge ferry service, Avis, Hertz, Budget, National Car Rentals/Europcar and Thrifty do not allow their vehicles to travel across Cook Strait. For further information regarding this and including the TranzAlpine train in your vacation, please read the information contained in Driving Tips.